We believe that you deserve to slow down and seek joy in your life. Everything we do, we do for you, for the community, and for the preservation of this home. Experience our tradition of high standards and warm, inviting, genuine hospitality. Take delight in having our knowledgeable staff here to pamper you. Enjoy our passion for cooking each morning as we tempt you with a beautifully prepared, mouthwatering breakfast. Seek joy in things big and small – in the subtle as well as the obvious. Treat your loved one to something special, sit and reconnect with friends, or reward yourself with a massage. Do things that have brought you joy in the past, but don’t be afraid to try something different. Come experience a new place to find that joy. 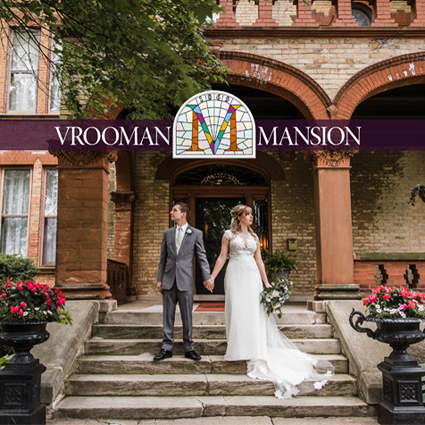 The Vrooman Mansion is a historic bed and breakfast in Central Illinois, nestled in the heart of Bloomington/Normal with easy access to I-55, I-74, I-39, and Route 66. While continuing to preserve the Romanesque design, we provide you with an elegant setting to relax, enjoy, and unwind. Throughout our rich history, Vrooman Mansion has hosted many distinguished members of society for political campaigns and prestigious events. Julia’s desire for entertaining and hosting gatherings lives on today. Whatever the occasion and group, we offer a unique setting for your memorable celebrations. Situated in the quiet neighborhood of Dimmitt’s Grove, the Vrooman Mansion is conveniently located just minutes away from downtown Bloomington. Plan a mini getaway, stop and stay while traveling through on Route 66, or have your wedding here. You will leave knowing you made the right choice – feeling welcomed, relaxed, refreshed, and wishing you had stayed longer. Call or make your reservation today for a memorable stay at the beautiful and historic Vrooman Mansion. Check-in times are 2-7pm daily ( call for additional information, and check out time is 11 am daily. You may cancel 14 days prior to your reservation for a refund ( minus cancellation fee) should your travel plans change. We hope to see you soon! Also, follow any public events at Vrooman Mansion on our Mansion Events page. Relax...we will help you with a stress-free planning process. Whether you are interested in an outside or indoor ceremony and/or reception, we give you the choices possible to personalize every detail. 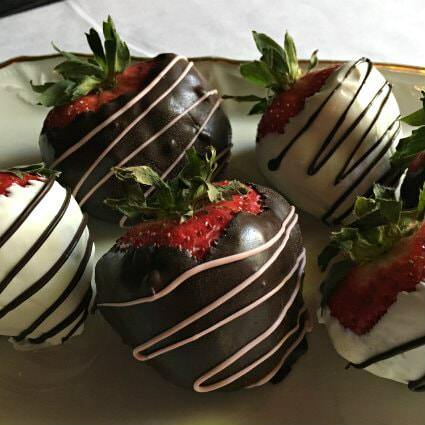 Indulge with a little extra something for yourself and your loved one. Have fun, try something different. Enjoy a special experience spending quality time together while you visit the area. Looking for a place different than your typical hotel environment? Vrooman Mansion offers competitive corporate lodging rates with comfort and unexpected luxury. Come and give us a try. You'll be glad you did. Thank you for a wonderful step back in time and delicious, beautifully prepared breakfasts. You are to be commended for your hard work and dedication in keeping this grand piece of history alive. You are doing something very special here. Best wishes for continued success. Join us as The Tea Ladies lead us through the exciting first 10 years of The Kentucky Derby. Saturday, May 4th, 1:30 pm at Vrooman Mansion. Ticket Information available on our Event Page, or call 309-827-2200 to purchase tickets. This Tea is filling up fast. Grab your hat and join us for mint juleps, and an exciting day at the track!.